The cooler weather means changes in the market and squash has appeared in Campo dei Fiori, plus I finally feel like cooking again. 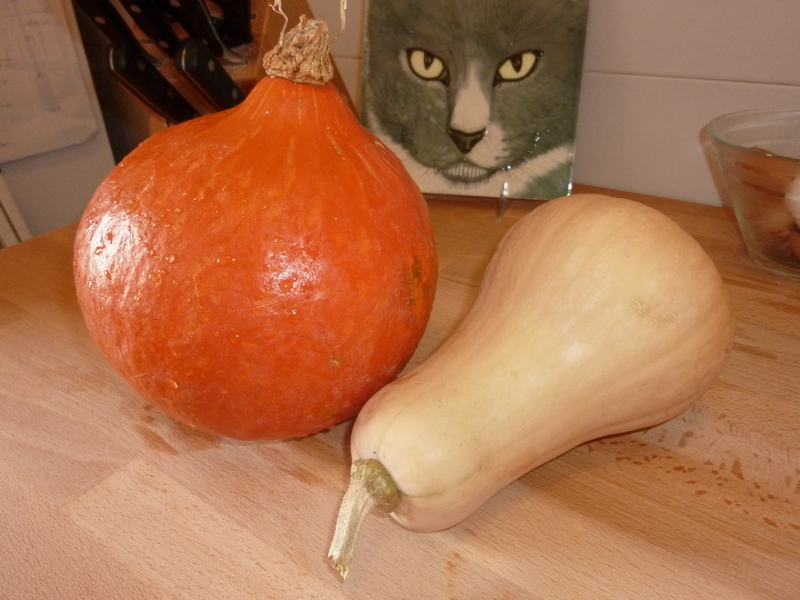 I don’t know the specific name for the type of squash in the left in the picture below, but it made a lovely pumpkin risotto! Fresh squash from Campo dei Fiori. That’s butternut on the right, but unknown pumpkin-like orb on the left. Would not make a good jack-o-lantern, but made great risotto. Hello Laurel!! That food looks so yummy!! I would love the recipe as well please! I am so happy for you two. Just tickles me every time I think of you. What a rich experience at this time in your lives. Looks delicious! Miss your cooking. I’d love to TRY to make pumpkin risotto! It looks delicious! We’re definitely having an Indian summer….it’s 93 today! Yesterday we went to silver falls…it was beautiful but grass and fields along the way are all yellow. We miss you lots and are so happy you’re enjoying Italy! I will send you the recipe. I am looking forward to trying it with different types of squash. Ciao Laurel — this is one of my favorite seasons when the air turns cool and crisp and the hearty fall food starts to show up in the local osterias. 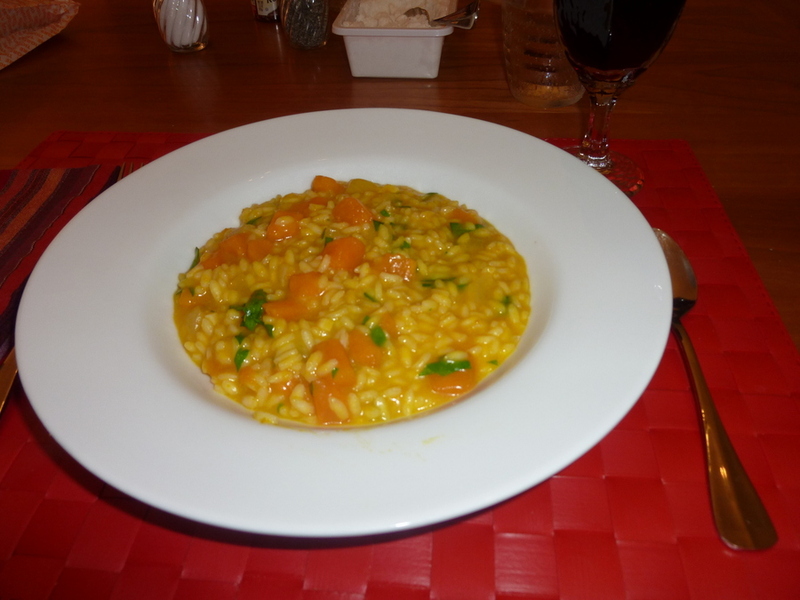 Your risotto has me craving a trip back to Italy. Speaking of, I may be through Rome briefly in mid-October, and planning to be there in mid-November before Thanksgiving. I’m looking into bringing over Olio Nuovo this year, though I’m still researching at the moment. Once I know my dates, I’ll ping you two — would be good to get together for a lunch or dinner! Hoping to see you in November, if you have time.